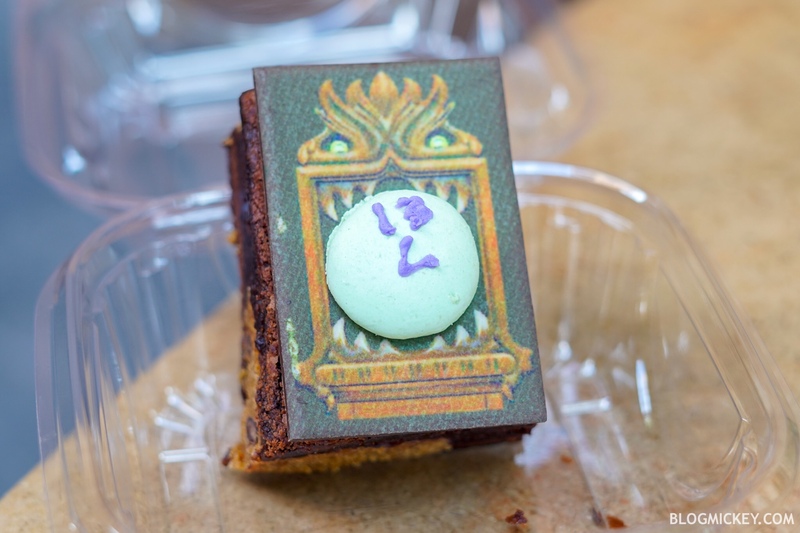 For one day only, Disney is celebrating The Haunted Mansion on-ride photo debut with a frightfully fun treat. We made it out to Magic Kingdom this morning to give it a try! The “browkie” has the classic Haunted Mansion grandfather clock scene. The clock is printed onto a dark chocolate base with an almond macaroon as the clock face. The browkie itself (brownie and cookie) is very rich and moist. 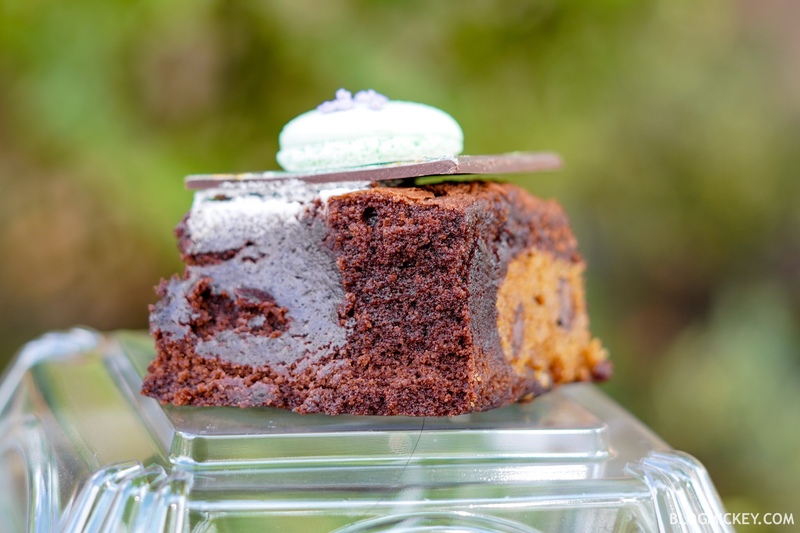 You can see and taste the distinct layers between brownie and cookie. 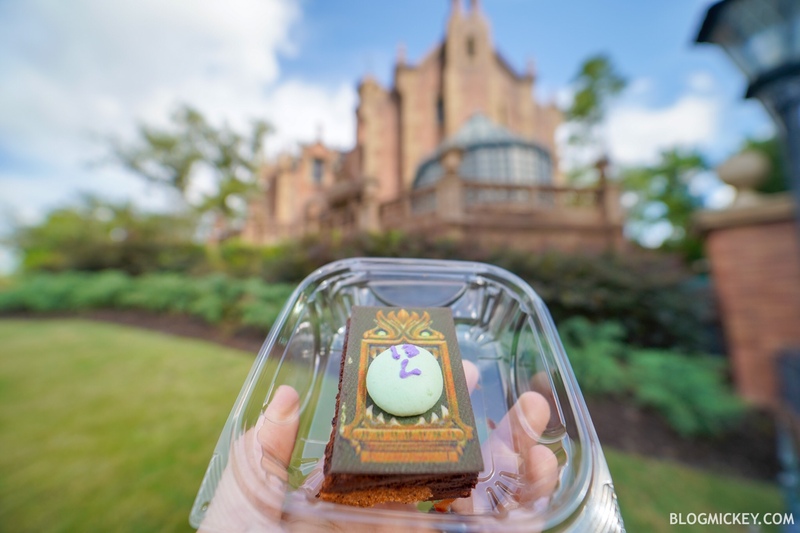 While the main motivation for buying this today is surely for a photo in front of Haunted Mansion, it stands alone as a delicious treat. 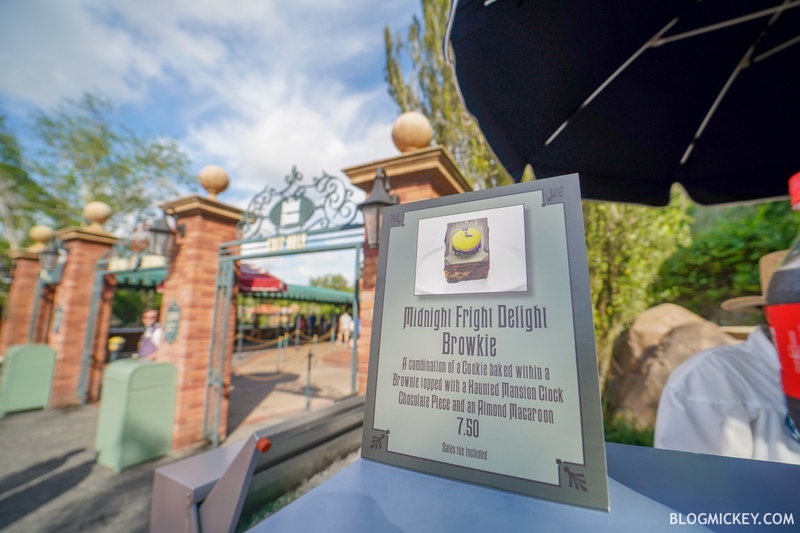 If you’re at Magic Kingdom today, we can recommend the Midnight Fright Delight Haunted Mansion Browkie. 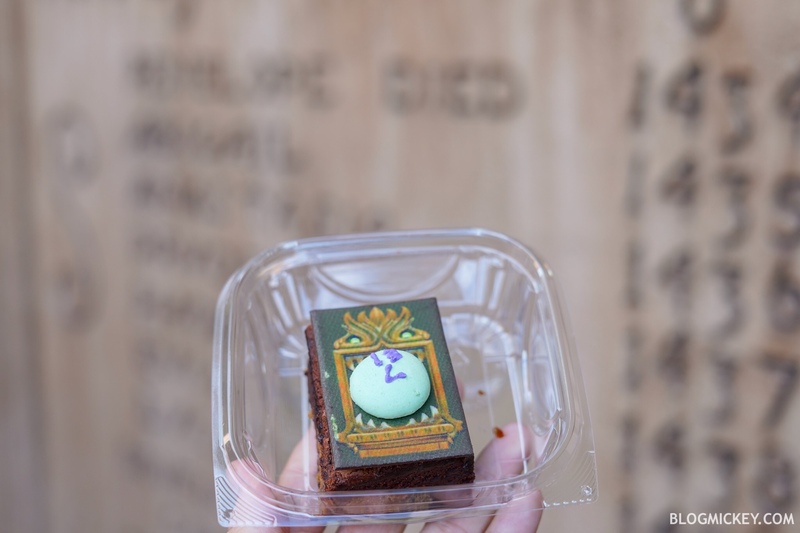 The treat is sold next to the Haunted Mansion exit, despite the Disney Parks Blog stating that it’s available at Liberty Square Market.